THE SCHLAGER SYSTEMS: One Week To Go!!!!!! Well there is only one more week to go until the Eurovision finals and Guri romps home to victory! That’s after dancing her way to many a ‘douze points’ in the semi’s on Thursday! Like many of you we will be having a Euro party and it will be fabulous! Just to let you know that we may have a Guri exclusive coming to this blog soon so stay tuned! Anna Book Interview Part two up on Thursday! MARGARET BERGER - SHE'S A BIT FAB! THE SCHLAGER SYSTEMS BACK SANNA FOR UK SUCCESS! THE SANNA NIELSEN INTERVIEW EXCLUSIVE!!!! THE EXCLUSIVE GURI SCHANKE INTERVIEW! 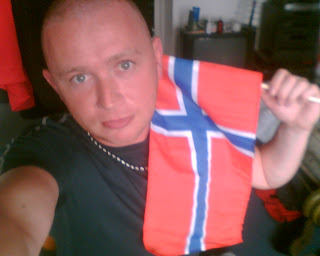 MARTIN STENMARCK - SUMMER TOUR OF SWEDEN!!!!!!! The Schlagerboys at the Loom bar! Is it Denmark or Schlagermark?